Once again, BCSE has come through with exceptional service and amazing mods. I have had the pleasure of working with the expert staff at BCSE for over 4 years on various projects, and they are very detailed oriented professionals with great communication skills. I would recommend this company to anyone seeking a "valued partner" for their Internet business and/or technology needs. Authorize.net Direct Post Method Module for X-cart! This payment module add-on works with your Authorize.net AIM account to support you to be PCI Compliant including the new PA/DSS standard! 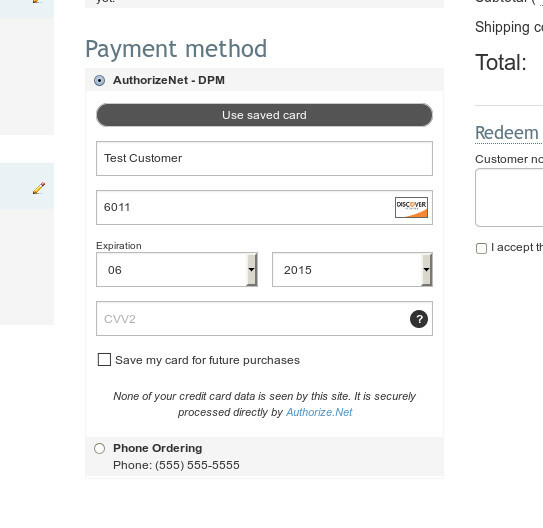 Use this module and your customers will see no difference in checkout! 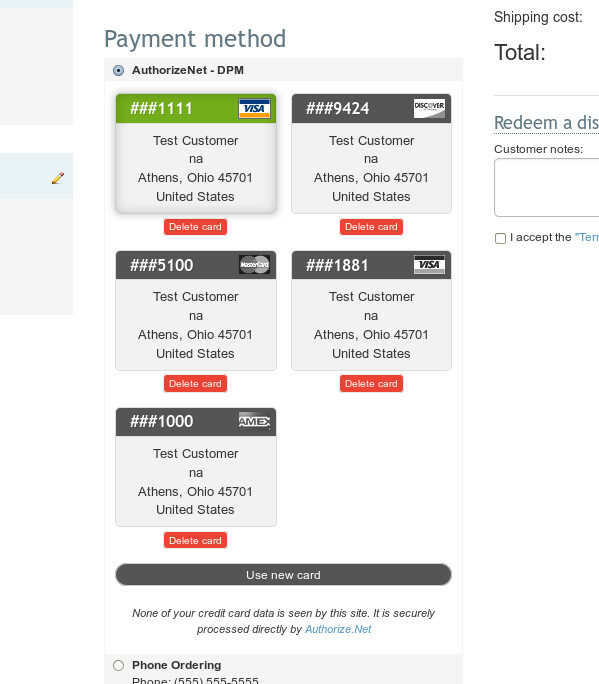 The beauty is, in the background, all Credit Card handling is done directly through Authorize.net. Compatible with X-cart's 4.4.x-4.6.x One Page Checkout! 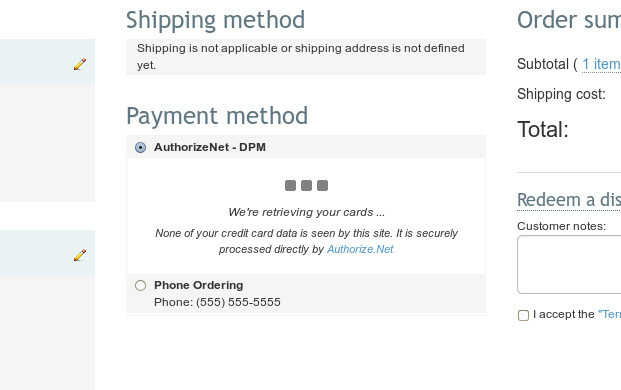 More information about Authorize.net DPM please refer to page 106. Note: This should work seamlessly if your checkout area is not modified or minimally modified. All source code is provided though if you need to make any modifications to suit your checkout area if it is customized. Authorize.net DPM vs Authorize.net CIM - See the Comparison Article!